I can’t imagine the world without potatoes! Let’s be honest what a sad place that will be. Potatoes are an every occasion food and can be eaten at every mealtime too. I suppose that’s what makes them so special. 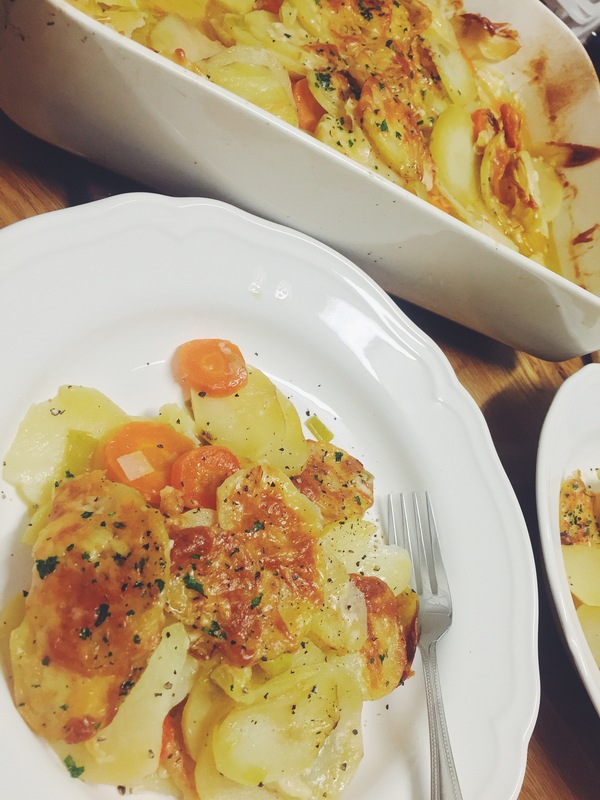 Both my mum and mother in law make some of the nicest dishes with potatoes. While my mum makes the best Jeera Aloo (Cumin potatoes), my mother in law does an incredible potato bake. So much so that whenever either of them are in town I’m sure to request these potato dishes. 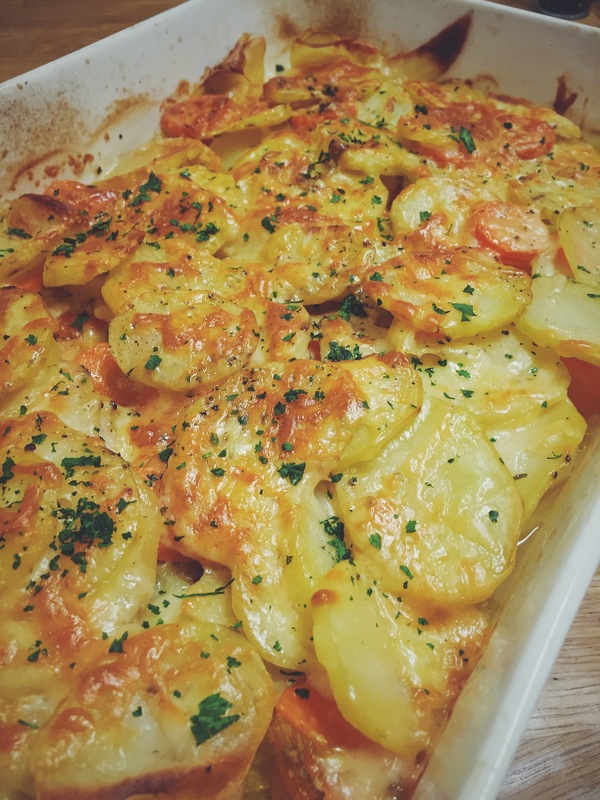 Since I have already shared the cumin potato recipe (find it here), it was only fair to not keep you bereft of this incredible potato bake recipe. 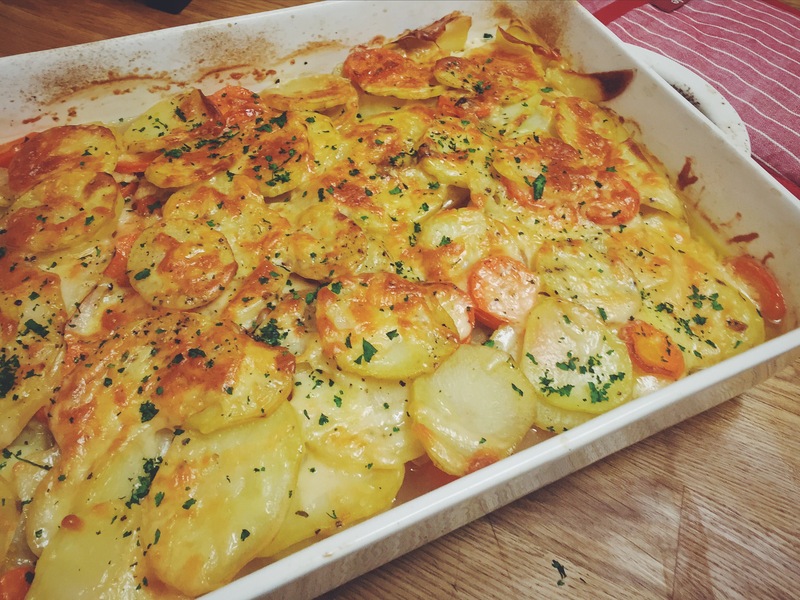 It’s cheesey, its flavour packed, it’s actually healthy and such a quick mid week family meal. Pre heat the oven to 250 degrees celsius. In a pan heat a tablespoon of olive oil. Add garlic, once aromatic add leek and cook on a medium flame for two to three minutes. Now add the carrots, mix well and cook for five to ten minutes. Season with cracked pepper and keep aside. Grease a baking dish with olive oil. 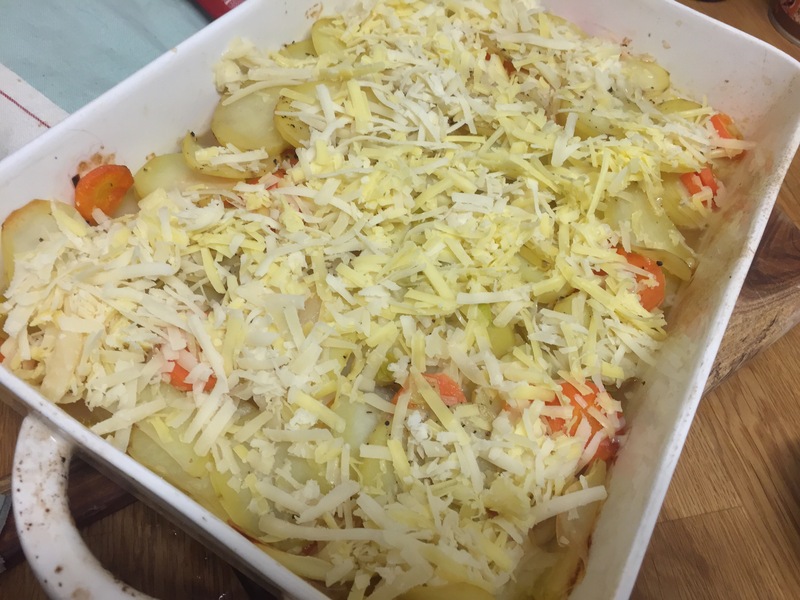 Assemble a layer of potatoes, then add a layer of the leek and carrot mix and a layer of cheese. Continue layering the remaining potatoes, leek and carrots and cheese. Once assembled pour the stock and finish off the a generous layer of cheese. 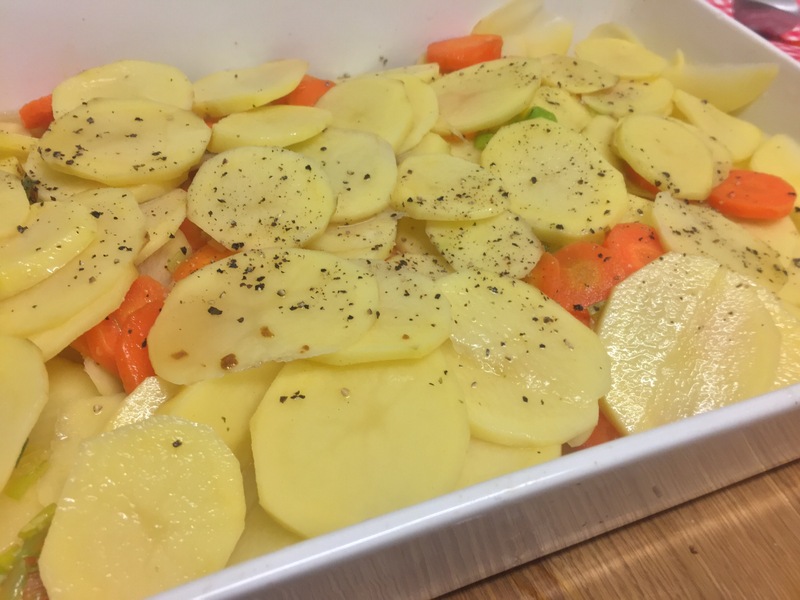 Place the dish in the oven and bake until the potatoes are cooked. Place under the broiler for the last five minutes to melt the cheese and crisp the top. Your lip smackingly delicious cheesey potato bake is ready to be served. Garnish with chopped parsley and cracked pepper. This dish goes perfectly with a nice dry Pinot Grigio or Riesling.